My niece got married May 4th. We tried to talk her into doing a may the 4th be with you theme for her wedding but she just wouldn't go with it. She kept with her lemon lime them. I made over 200 small cookies for the reception sweet table. This was my little set up. 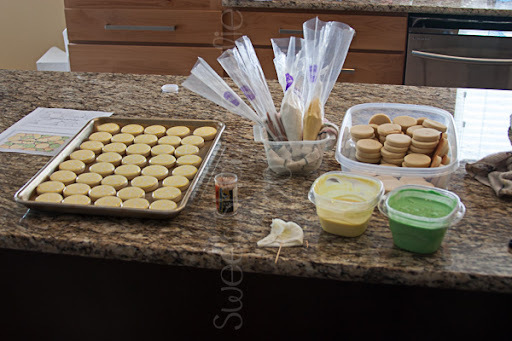 I did not want to pipe and fill 200+ cookies so I thinned my icing down to 5 seconds and then just dipped 5/6 at time then immediatioly went back and piped in the lines and details. I did full and half slices and they turned out pretty cute. 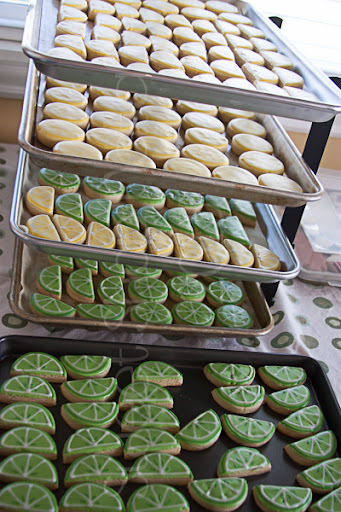 I also flavored the icings lemon and lime. Just a few of the finished product. This was one of the three food table at the reception, the decor was so darn cute. 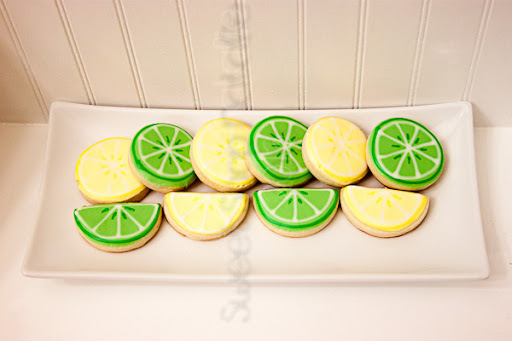 My favorite was the lime ones, but the bride liked the lemon, she said they tasted like lemon bars but with out the mess.